Good morning. It's Friday, Aug. 31. Scheduling note: The Sun will pause for the Labor Day weekend and be back in your inbox on Tuesday. • Honoring heroes of San Francisco and the San Fernando Valley. • A tech billionaire's fight to keep the public off his beach. • And the timber wars heat up again in Humboldt County. Clockwise from top, a Robin Williams mural in San Francisco, Barack Obama, and a mural of Richie Valens in Pacoima. 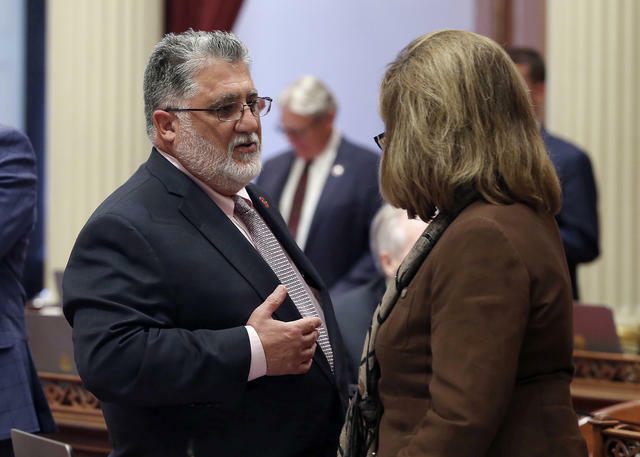 State Sen. Anthony Portantino talked with Republican Senate Leader Patricia Bates in Sacramento on Tuesday. The Assembly approved Portantino's bill to raise the age required to buy a long gun. Capital Public Radio is tracking the developments in the Legislature. California became the first state to abolish cash bail in an effort to create a fairer criminal justice system. So why are proponents so unhappy? Many pulled support after amendments were added that gave more power to judges. "This bill, in the 11th hour, was hijacked," said one nonprofit leader. "We entered this in a really pragmatic way. The fact of the matter is, this bill takes us backwards." 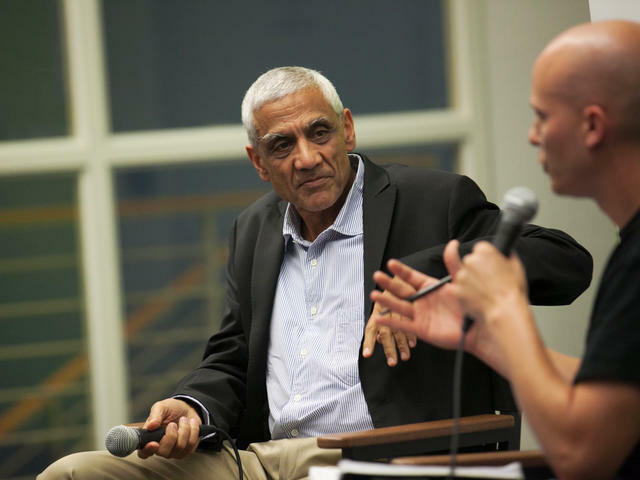 Vinod Khosla has seemed immune to criticism. "Aggressive, shameless, obsessive, and optimistic, the tech billionaire Vinod Khosla is willing to litigate the California coast for the rest of his life." The N.Y. Times spent time with the venture capitalist trying to keep the public off a beach south of Half Moon Bay. If he wins his case, he could reshape the laws that govern 1,100 miles of shore. 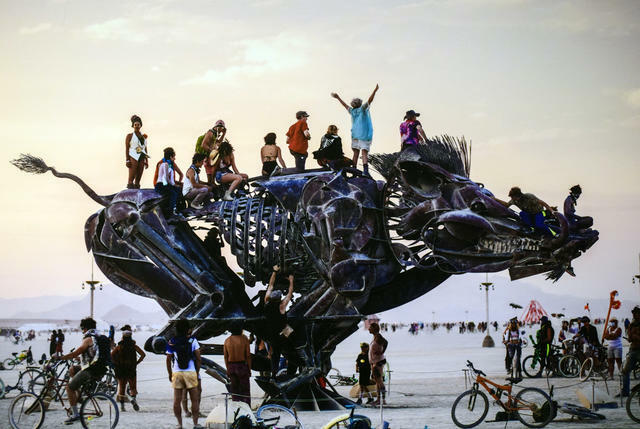 Burning Man grew from a huddle on a San Francisco beach to a temporary metropolis of 70,000 people in the Black Rock Desert. Burning Man 2018, now underway in the Nevada desert, has already proven to be a bold and beautiful sight. Here are a couple photo galleries that take you into the otherworldliness of the art party that culminates Sunday with the ignition of the titular man. 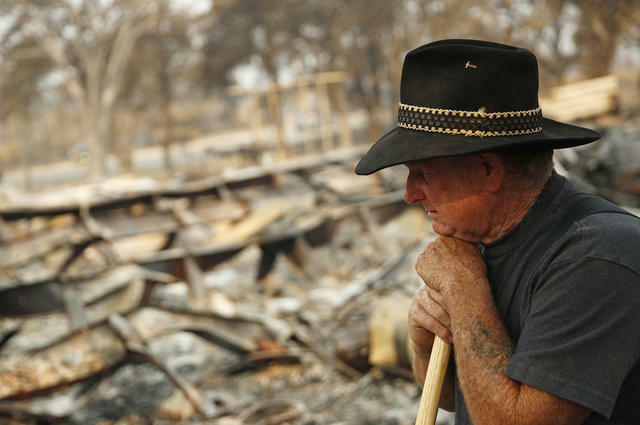 Ed Bledsoe at the remains of his home in Redding on Aug. 13. Ed Bledsoe's wife and the two great-grandchildren they were raising were killed by the Carr fire on July 26. He said he's found ways to temporarily cope with the loss. "I think of them being on vacation and they’re going to come back to me," he said. "It’s the only way I can stay alive." In Fresno, experts attribute a rising incidence of child abuse to the region’s alarming rates of methamphetamine addiction. “I think a lot of people associate meth with the 1990s, and this comeback has gone largely unnoticed in the shadow of the heroin and opioid epidemics,” said Mary Newman, who made a harrowing documentary focused on the drug’s often overlooked victims: children. Protestors blocked a road leading to Rainbow Ridge in Humboldt County. The timber wars are heating up again in Humboldt County. 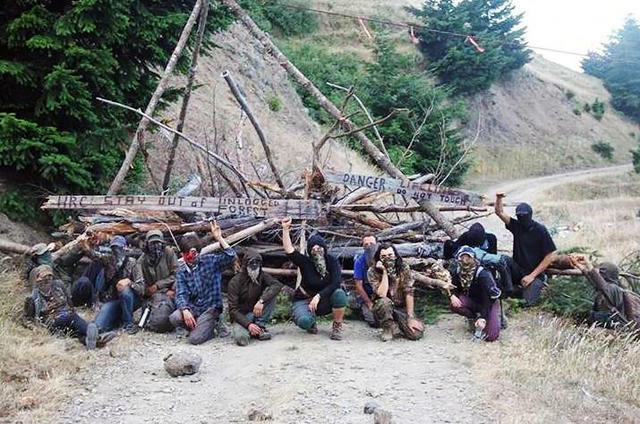 Environmental activists erected a blockade on a logging road leading to an area known as Rainbow Ridge. Protesters accuse Humboldt Redwood Company of violating pledges of sustainability by targeting old-growth forest. 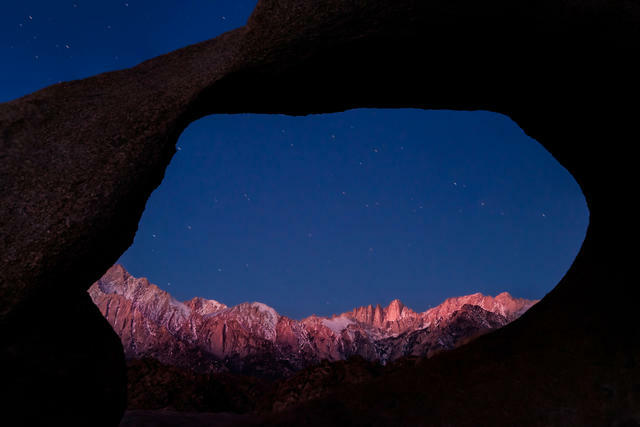 "That’s where the biggest trees — and the profits — are," one activist said. A Sonoma County high school canceled its football season after being outscored 102-0 in its first two games. The decline of football at Healdsburg High School is part of a national trend away from the sport as parents and students respond to warnings about concussions. More than 20,000 fewer high schoolers played football in 2017 than in 2016. Boa Vista Orchards in Placerville is known for its apple doughnuts. 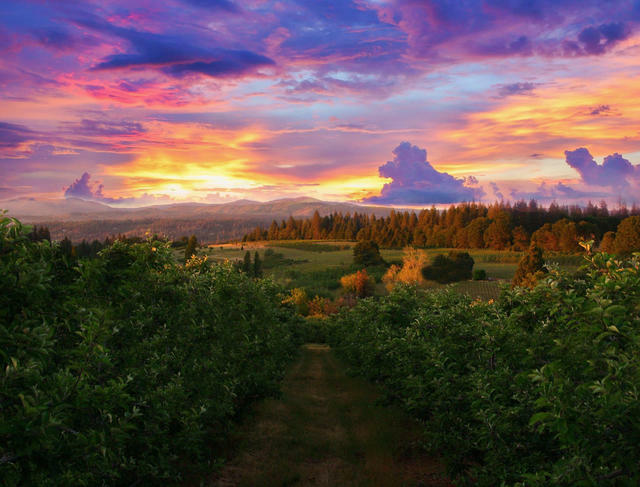 Apple Hill is a Northern California tradition every fall in the Sierra foothills east of Sacramento. A group of about 40 ranches, farms, and wineries welcome the public to partake of freshly picked apples and pies or sip locally grown wine. Here's a guide. In-N-Out, based in Irvine, is a California institution. A call to boycott In-N-Out over its $25,000 donation to the California Republican Party got national attention after it was endorsed by the leader of the state's Democratic Party. In-N-Out protested that it gives to Democrats and Republicans alike. 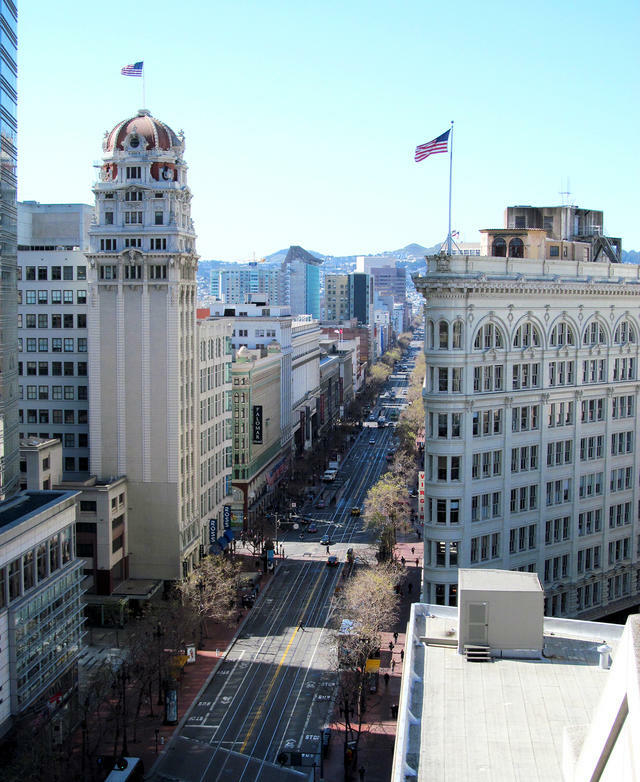 It was unclear whether the boycotters might turn next to Facebook, Target, McDonald's, pretty much every oil company, and myriad other entities that have given to the state Republican Party in 2018. F.B.I. agents arrested a man at his home in Encino after he placed repeated calls to the Boston Globe and threatened to kill its journalists, the authorities said. Robert Chain, 68, was said to have called the newspaper the "enemy of the people," an epithet frequently deployed by President Trump. Amazon is planning to build a 2.5 million-square-foot distribution center in Kern County. E-commerce giants have been drawn to California’s inland cities, where real estate is cheaper and the labor force is plentiful. The Kern warehouse is expected to hire as many as 2,000 people, many of them previously unemployed or underemployed. 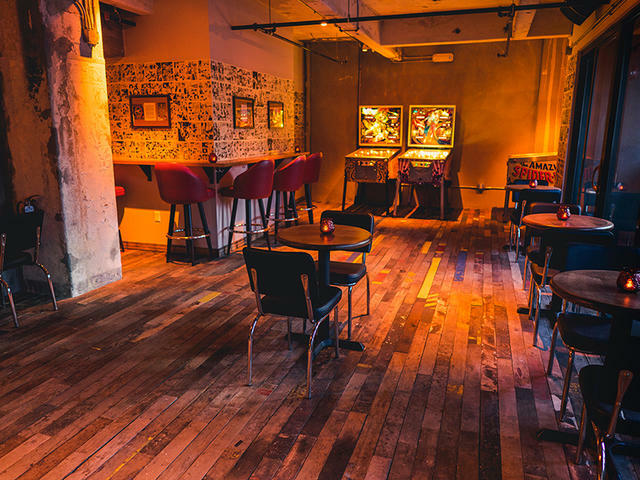 Slipper Clutch is hidden inside another bar in downtown Los Angeles. Signless doors, secret passwords, and bars-within-bars. Los Angeles, and especially Hollywood, is a land of hidden drinking dens. Here are a couple roundups of places worth seeking out, like the neon-lit, 1980s-themed Slipper Clutch. 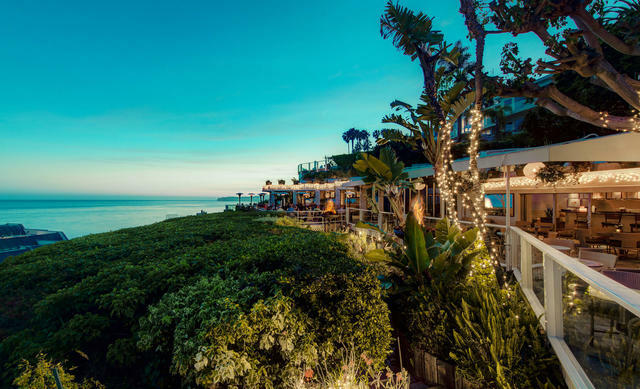 Among OpenTable's top scenic restaurants was Geoffrey's Restaurant in Malibu.